In this episode we tackle the problem of the teammate that was always late, and how trying to talk about the problem made the situation even worse. We often tend to talk about problems, but sometimes that’s the worst possible solution. 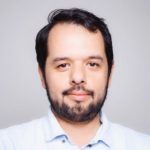 Listen in to learn about one of those stories, and hear how Gilberto and the team turned the situation around, avoiding losing a team member that needed their support. In “Por Un Scrum Popular” (a translated adaptation of Tobias Mayer’s The People’s Scrum), Gilberto found a description of Scrum that he could get excited about. A more approachable version of Scrum that fit well his view of how Scrum could help teams.